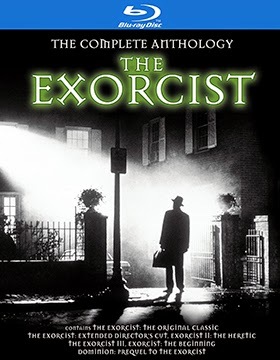 Warner Home Video has targeted Sept. 23 as the Blu-ray release date for a six-disc, five-film collection of The Exorcist: The Complete Anthology. Included in the collection are two versions of director William Friedkin’s 1973 film that started it all. Collectors and genre fans can enjoy the original theatrical cut or the 2000 “Director’s Cut,” which features roughly ten minutes worth of footage culled from the 1973 version. The 1977 follow-up (which by any standards was a complete disaster) Exorcist II: The Heretic and writer/director William Peter Blatty 1990 resurrection of the series, The Exorcist III, starring George C. Scott as a veteran DC detective trying to solve a series of murders only to discover much, much more! And rounding out the collection are the two versions (a real-world film school lesson to be sure) of the fourth film in the series, which is actually a prequel to the original The Exorcist. Exorcist: The Beginning was directed by Renny Harlin and released during the summer of 2004 … an earlier version by director Paul Schrader was put on hiatus after the producers felt that it was too cerebral and Harlin was brought in to reshoot the film. 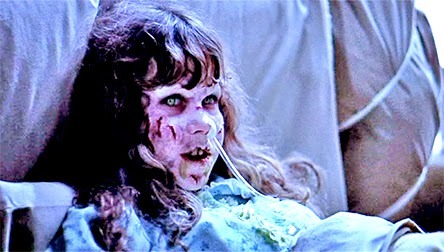 After Exorcist: The Beginning was released, funding was provided to Schrader to finish his vision of the same story, Dominion: Prequel to the Exorcist. It got a brief look-see theatrical break (110 screen) in May of 2005. No word just yet on bonus features (vintage or otherwise) included in this collection. 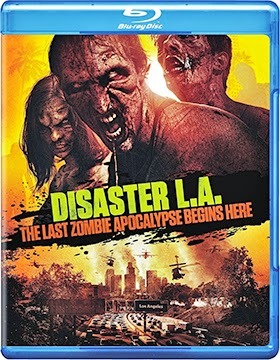 Also added to the release calendar this week for delivery on Sept. 23 were DVD and Blu-ray editions of director Turner Clay’s Disaster L.A.: The Last Zombie Apocalypse Begins Here. This is a tasty pick-up by the studio as this is a very slick indie film (all tech elements solid) that was delivered on a micro budget. It’s good to see that someone at the studio is paying attention to what is going on in the indie world these days. The City of Angels is ground zero for a meteor shower (nicely put together), which is bad enough, but it turns out that these meteors contain some sort of parasite/virus that when inhaled turns one into a flesh-craving zombie. There’s smoke everywhere from the meteor strikes and soon enough Los Angeles is infested with the walking dead. Survivors desperately try to exit the city! Good luck with that … have you seen the traffic on a peaceful day in Los Angeles, much less after a swarm of meteor strikes and an ever-growing zombie plague. This little genre-gem is well worth a look-see come Sept. 23. Oct. 7 is the street date for DVD and Blu-ray editions of both Cartoon Network: Adventure Time - The Complete Fourth Season and director Gil Junger’s seasonal action/comedy, Christmas Bounty, starring Francia Raisa as a former bounty hunter who is trying to leave her past behind … but little luck! On the TV-on-DVD release front, Oct. 14 marks the arrival of a three-disc helping of Two and a Half Men: The Complete Eleventh Season and Two Broke Girls: The Complete Third Season (also a three-disc SKU). The red carpet has been carefully rolled out and TV series after TV series has been stationed along the way … all leading up to the release of the franchise of franchises. Paramount Home Media Distribution has orchestrated it perfectly. 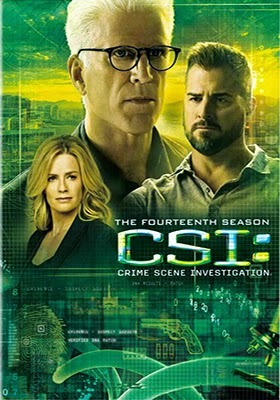 The big one … the latest complete season of CSI: Crime Scene Investigation arrives on Sept. 16, although some might argue that Sept. 16 is actually the street date for the really BIG one, South Park: The Complete Seventeenth Season. It’s a matter of taste, but the preparation has been spot-on. Beginning with Awkward: Season 3 and Californication: The Seventh Season on Aug. 5 the studio has peppered week after week — through Labor Day and beyond — with the latest editions of their collectible TV-on-DVD series. Gunsmoke: The Tenth Season, Volume One and Gunsmoke: The Tenth Season, Volume Two follow on Aug. 12; Good Wife: The Fifth Season, Millers: Season One, NCIS Los Angeles: The Fifth Season and NCIS: Naval Criminal Investigation Service - Season Eleven all arrive on Aug. 19; and Criminal Minds: The Complete Ninth Season and Elementary: The Second Season are joined by a special five-disc collection of Now and Again: The DVD Edition on Aug. 26. Labor Day arrives — the sort of, semi-official kick-off to Christmas-selling season — and Paramount is ready with Bonanza: The Official Seventh Season, Volume One and Bonanza: The Official Seventh Season, Volume Two on Sept. 2; Blue Bloods: The Fourth Season, Dynasty: The Final Season, Volume One and Dynasty: The Final Season, Volume Two and three double-feature selections from the Perry Mason Movie Collection are all in place for delivery to fans on Sept. 9. But there’s more heading home on Sept. 16!!! 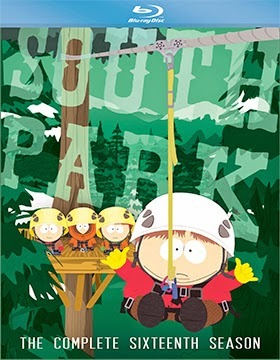 All ten episodes (with commentaries by Trey Parker and Matt Stone) of South Park: The Complete Seventeenth Season will be available on both DVD and Blu-ray. A double-disc helping of Burning Love: Seasons Two & Three and a six-disc collection of the latest case files from paradise, Hawaii Five-O: The Fourth Season will also street on Sept. 16 — bonus features include a gag reel, deleted scenes, a featurette titled “The Making of "Ho'onani Makuakane” and more! 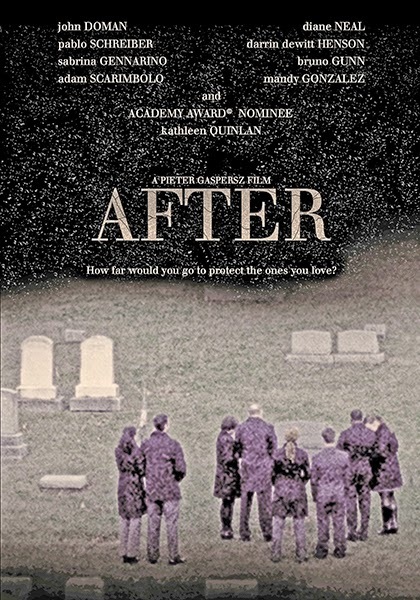 Virgil Films & Entertainment announced this past week that actor-turned-filmmaker Pieter Gaspersz’s debut film behind the camera, After, starring Kathleen Quinlan, will be making its domestic DVD debut on Sept. 23. An Aug. 8 limited theatrical release is also planned. Filmed on location in and around Rochester, New York, we are introduced to the Valentino family during the winter of 2002 … Nora (Quinlan) is the matriarch of the clan, educated, professional and very much the glue that her husband Mitch (John Doman) and their four adult children have come to rely on to hold things together. But the illusion of strength can be deceiving as financial woes, the stress of a family growing apart (children do move on) and a carefully guarded secret from the past all seem to weigh heavily on Nora these days. Filmmaker Gaspersz takes these elements and slowly ratchets up the pressure until a tipping point, not only for Nora, but for others in the family as well. No word just yet on bonus features included with the DVD release. When you say the name Justin Hayward you will likely get a few blank stares. But when you say “Moody Blues,” there is a very good chance that the lyrics from “Nights in White Satin” or “Tuesday Afternoon” will come spewing forth. In fact, the legendary rock group Moody Blues and Justin Hayward are pretty much interchangeable … he wrote both of this icon rock hits and was the Moody Blues frontman for years and years. 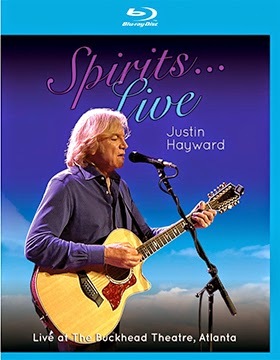 Now performing solo (and with others) his 2013 live concert from the Buckhead Theatre in Atlanta, Georgia, which is titled, Justin Hayward: Spirits … Live at the Buckhead Theatre, Atlanta, will be making its way to DVD and Blu-ray courtesy of Eagle Rock Entertainment on Aug. 17. 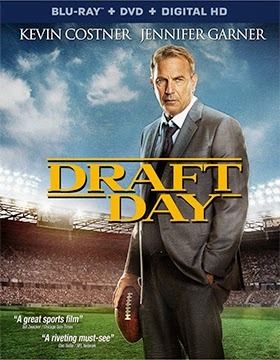 With an eye towards the start of the 2014/15 college and professional football season, Lionsgate Home Entertainment has selected Sept. 2 as the street date for both DVD and Blu-ray/DVD Combo Pack (with UltraViolet) editions of director Ivan Reitman’s Draft Day — timing is spot-on as the college season gets under the way the week before and the first pro game follows two days later on Thursday Sept. 4. The ARR is 144 days and the box office take came in at $28.8 million. Bonus features include deleted scenes, a pair of featurettes — “On The Clock: The Making of Draft Day” and “Welcome to Primetime” — and commentary from screenwriters Rajiv Joseph and Scott Rothman. Kino-Lorber appears to have found the keys to MGM Home Entertainment’s candy store (at least what remains of the United Artists portion of the once vast film library)! While there are other companies in the market place with a stronger track record — and likely a better fit for the promotion and distribution of this type of film product — we can’t help but applaud Kino-Lorber for the initial line-up that has been both officially … and unofficially announced. In a somewhat chaotic release rollout, punctuated by seemly random distribution of their press announcement, a new “Studio Classics” label is being launched by the company on July 22 with DVD and Blu-ray editions of The Private Life of Sherlock Holmes, Sabata, The Scalphunters and Witness for the Prosecution. 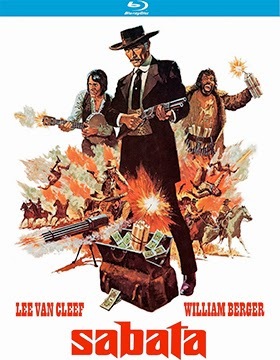 The following week, July 29, Duel at Diablo, Marty, Paris Blues and Separate Tables will be available as both DVD and Blu-ray product offerings. Aug. 12 brings Breakheart Pass, The Children's Hour, Mr. Majestyk and The Unforgiven to market, while Aug. 26 will mark the arrival of Cast a Giant Shadow, On the Beach, The Party and What's New Pussycat? — all of these films will be available as either Blu-ray or DVD selections. In the post-Labor Day period look for Across 110th Street, Cotton Comes to Harlem, A Funny Thing Happened on the Way to the Forum, Juggernaut, Elmer Gantry, The Great Train Robbery, Meteor, Run Silent, Run Deep, Taras Bulba, Young Savages and True Confessions. 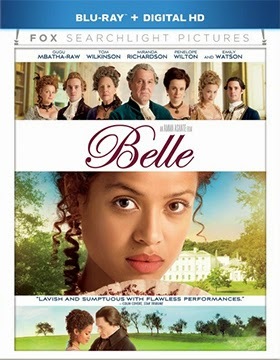 Director Amma Asante’s Belle, an 18th Century tale of Dido Belle (Mbatha-Raw), the mixed-race daughter of a Royal Navy officer of some standing who is educated as an aristocratic English woman— but without the social standing — will be available on Blu-ray from 20th Century-Fox Home Entertainment on Aug. 26. The ARR is 116 days and ticket sales currently stand at $9.2 million. 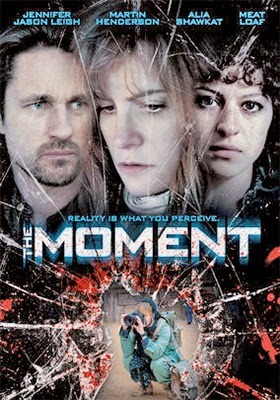 Screen Media Films has picked up writer/director Jane Weinstock’s psychological thriller, The Moment, starring Jennifer Jason Leigh as a world-renowned war photographer who has a break with reality and ends up in a mental hospital. 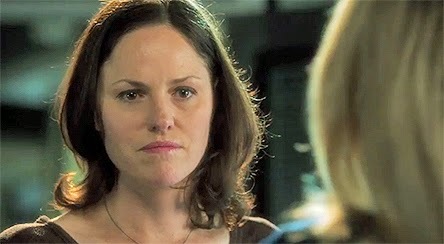 Her estranged lover (played by Martin Henderson) has gone missing and she fears that she may be responsible for his disappearance. The DVD release date is Aug. 12 … The Moment worked the festival circuit during 2013 and a brief theatrical showcase in early June.